Our culture definitely indulges to fashion. Based from my experience as an employee of a direct selling company and as a direct seller as well, selling fashion clothes and accessories are far more profitable than selling health supplements or insurance. People love buying things that are trendy, up to date or made by famous designers, a.k.a. branded. So, if you are in a lookout for that perfect business, I suggest you take three things into careful consideration: food, fashion and hobby. Food related because everybody needs to eat. Fashion related because everybody wants to be trendy. Hobby related so that you will not run dry of passion. If you are into fashion, branded is not always the choice because not all can afford items from Chanel, Gucci, Prada, Louis Vuitton and others. The key to this is the word similar or look a likes. For instance, if you want a fashionable high end designer sunglasses, you don’t buy a dozen of expensive ones but you can start by checking out website like DEdesignerEyewear.com. You can learn where to buy wholesale fashion sunglasses at a very affordable price which will in turn increase your business profitability. 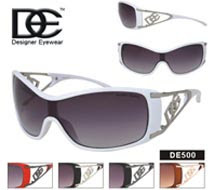 Their designs and durability are like of those branded fashion sunglasses but at a lower cost. You can also start selling online individually and drop ship locally or even internationally! When you are online, business is an endless possibility!